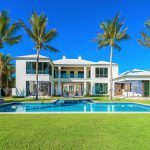 The four-bedroom residence located 3500 North Ocean Boulevard represents an amazing opportunity and great value in the Town of Gulf Stream. Completely renovated and redesigned, the property features brand new kitchen, new bathrooms, heart-of-pine hardwood floors, impact windows throughout, plantation shutters, excellent storage including encapsulated crawl space, two-car garage, Tesla charger and much more. Enjoy the gated courtyard entry with heated salt-water pool and beautifully landscaped grounds complete with gardens, fruit trees and artificial turf yard. 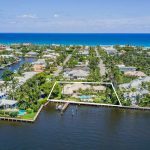 The location is second to none with deeded beach access directly across the street and close proximity to Gulf Stream School, Delray Beach’s Atlantic Avenue and Palm Beach’s Worth Avenue. 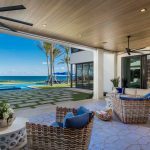 Boasting a North Ocean Boulevard address, this Gulf Stream property offers 158 feet of frontage, private driveway entry with wall and landscape along the property line, and gate access to Banyan Road for convenience. The gated courtyard entry opens to an expansive terrace with space for outdoor dining and lounging around the heated salt-water pool. The entryway unveils the heart-of-pine hardwood floors and flexible floor plan with bright interior spaces. The dining room, living room and kitchen flow from room to room with a powder room conveniently located near the stairway. The new kitchen features marble counters, large island with snack bar seating, farm sink, Miele and Sub-Zero appliances, wine cooler and a wall of sliders to the pool terrace for outdoor entertaining. The ground floor master suite features a bedroom with paneled ceiling, walk-in closet and new bathroom with glass walk-in shower, clawfoot soaking tub, dual sinks, linen closet. There are three additional bedrooms upstairs. The middle bedroom has a private balcony that overlooks the pool and grounds and shares a Jack-and-Jill bath with the spacious north bedroom complete with built-in bunks. The south bedroom enjoys privacy with en suite bathroom featuring a clawfoot soaking tub. Enjoy year-round sun and fun in the beautifully landscaped grounds with newly resurfaced salt-water heated pool, butterfly gardens, planting beds, fruit trees, an enclosed turf yard on the north side of the property with outdoor shower and deeded beach directly access across A1A. The pool terrace and courtyard provide privacy for outdoor entertaining. The two-car garage is located off the kitchen with full-size washer and dryer, laundry sink, storage, pantry and doorway to north yard. Renovations in 2016 include new plumbing, new electrical, modern a/c ducted mini-split system, ceiling speakers throughout entire first floor, state-of-the-art kitchen, new bathrooms, recessed lighting and new landscape with watering system. Improvements in 2018 include artificial turf, landscape lighting, new concrete tile roof, crawl space encapsulated for storage, interior and exterior paint and Tesla charger installed in driveway. Other features include plantation shutters, impact glass throughout and whole house reverse osmosis filter. 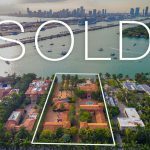 This wonderful Gulf Stream residence represents great value and an incredible opportunity to enjoy South Florida’s luxury living. 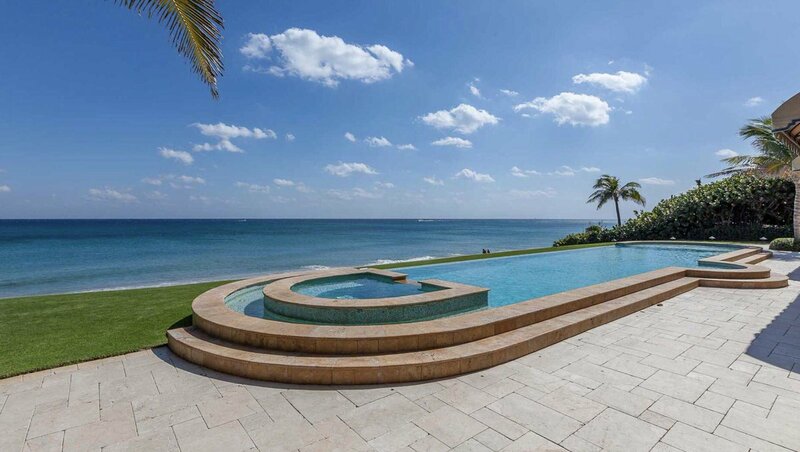 Contact Nick Malinosky for more information about this renovated beach area home at 3500 N Ocean Blvd, Gulf Stream.